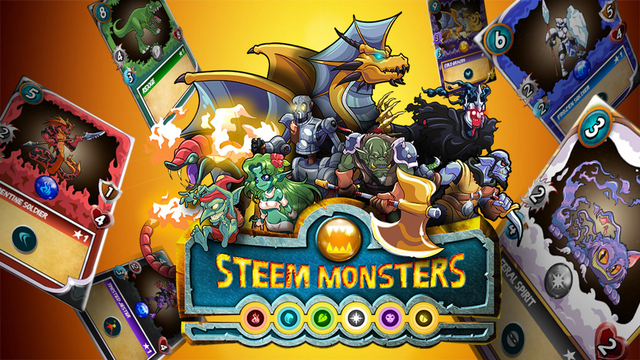 Steem Monsters: Why buying each monster is probably a good idea. Ever since the battle mechanics changed I have been and I believe most people have been struggling with winning battles mainly because of the Mana limitation. Mana basically is the ceiling that limits the cards you can engage in a particular battle. With the new mechanic, mana changes every single game which means if you have monsters with high mana like the T-Rex(8) and you are limited to 15 Mana chances are high you are going to lose the battle. So, how do you combat these? Try and get every single card available in its basic form. You do not have to have it upgraded. Having a card such as the Kobalt Miner(2) that has low Mana might be the thing you need to win those low mana battles. The beauty of these low mana cards is that most of them can be upgraded for a low amount - about 0.04 - 0.10 dollars because the supply is high. High Mana cards are overated especially if they are still in level 1. Give yourself more options in every battle by acquiring at least one of each monster and preferrably low mana cards that you can easily upgrade at a low cost. To get started, I would recommend going for range monsters, magic monsters or melee monsters with the sneak ability. If you have some more tips, please let me know in the comments below.